Twitter; it all started out with Odwin's retweet in regards to Cathay Cineleisure giving away free movie tickets. What do I have to do? 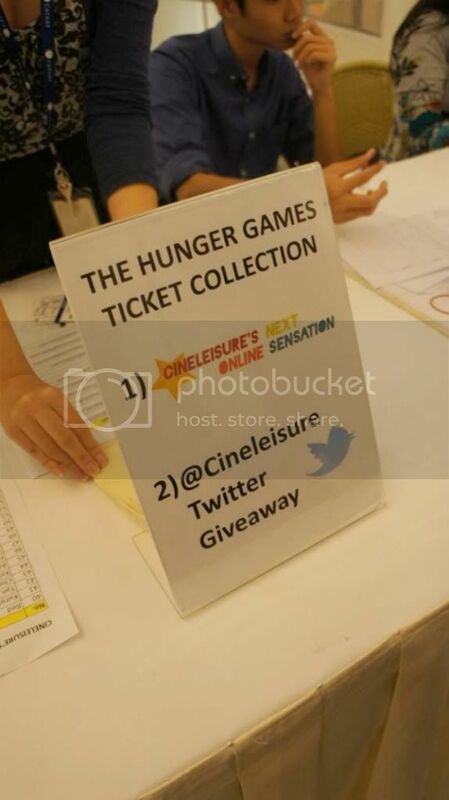 In a tweet, tell them what I love about Cineleisure! Yes, as simple as that. So, I thought to myself: I deserve a chance at a pair of tickets just as much as anyone else. Little did I know, I was shortlisted.. "Hey, Aisha. Congratulations! 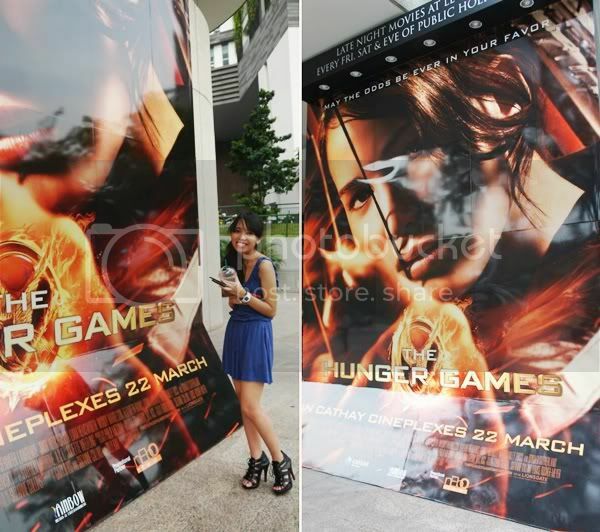 You have won a pair of tickets to THE HUNGER GAMES tonight at 6:45p.m!" I, honestly, was merely trying out my luck the night before the Gala Premiere, and I never actually thought the odds could ever be in my favour! Opportunities like this often don't come along. 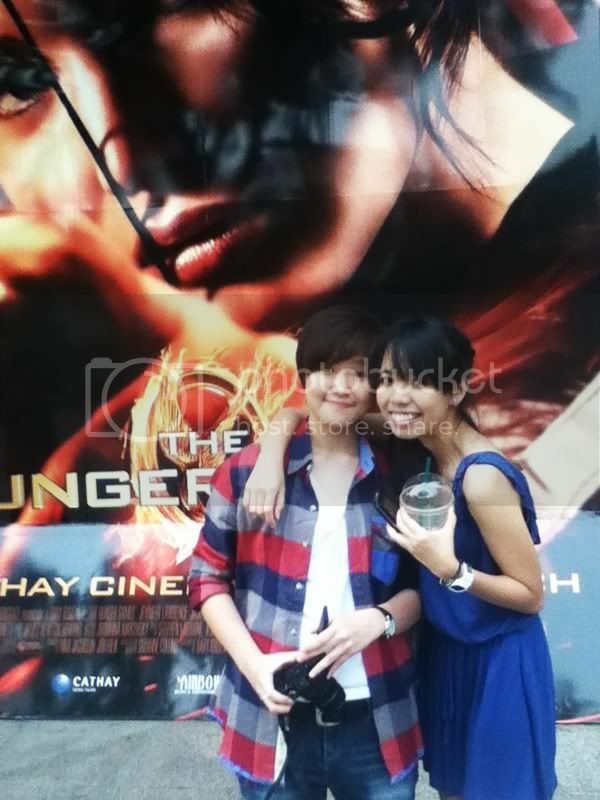 So, thank you again, Cathay Cineleisure! I can't find enough words to express my gratitude. How do you like my side French braid up-do? 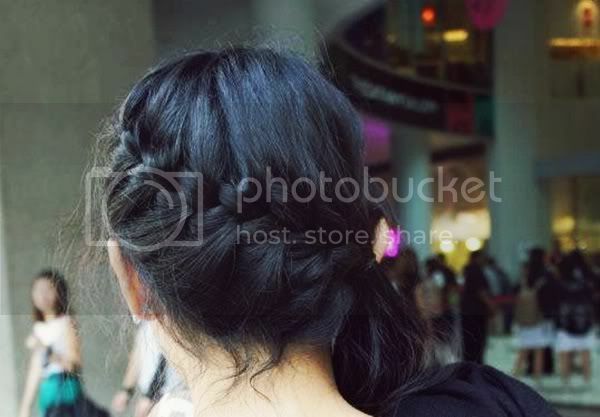 Maybe I resemble Katniss Everdeen (from the back), no? Because we were given the privilege to watch it first before it was officially released in cinemas, we had to surrender all of our electronic gadgets. 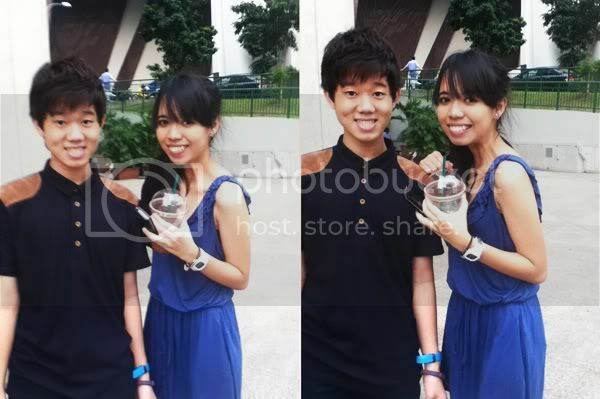 I had to queue up twice because I didn't surrender my polaroid the first time round. First world pains..
No doubt, the book is always better. May the odds ever be in your favour!